The leadership brokerages show by getting involved in their community is on display more than ever during the holiday season. By organizing donations or making contributions to local charities, your brokerage can make a difference when it counts the most. As a brokerage, you have an amazing presence in your local neighborhood and your agents are well-suited to represent your brand with their giving spirit. Encourage your agents to team up to make the maximum impact with their valuable time. 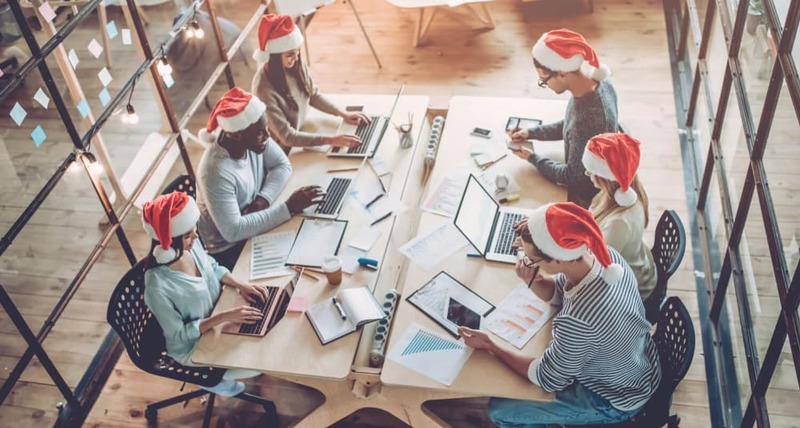 To help inspire your brokerage team, we’ve assembled 10 ways brokerages can embrace their community and give back this holiday season. If your charitable event sees spectacular results with your agents and community, bring it back as an annual event! Partner with a local pet shelter this holiday season to support the furry members of your community. Pet shelters often run holiday food and supply drives your brokerage can donate to as a group. Otherwise, you can make a donation to the shelter’s overall operation. If you’re feeling inspired, offer to volunteer at adoption events. Helping hands are always appreciated and the social interaction is a great way to mingle with members of your community. Give back to the children in your community by donating toys or raising money for a toy drive. Work some good-natured competition into your drive by partnering agents up and seeing which team can collect the most toys. Consider a national charity like Toys for Tots or go local and donate to a nonprofit daycare center or a local after-school program. Let your agents shine by joining a neighborhood caroling group and serenade your community. Find a local church with an active group or coordinate caroling with a tree lighting event. Don matching holiday sweaters or hats and hit the streets in style. If your community doesn’t have a caroling group already, represent your brokerage’s image and start your own! Volunteering your time can be the most effective way to help vulnerable people in your community. Sign your brokerage up to volunteer at a local food pantry or soup kitchen and serve your neighborhood with a smile. Volunteering events which feature your agents make an impression on your community. Lead your agents by example and show them the impact they can make this winter. This holiday season, consider thinking small with your donations. Instead of supporting larger efforts, think of sponsoring a single family who needs your help. “Adopt” a family as a brokerage, or spread the love and help your agents and their families each find a family to sponsor. By going small, your brokerage can make an amazing impact on the lives of children and parents in need of some holiday magic this year. A food drive is a classic charity event because donations are in such demand during the holidays. Host a competition in your brokerage to see who can contribute the most items in the office. Because not all food items or supplies are created equal, incentivize the most in-demand donations with point values in your competition. At the end of the drive, donate all of your goods as a collective and celebrate everyone’s part in the effort with prizes or a group outing. Team up with a local nonprofit business — like a nonprofit daycare center — and provide support during the holiday season. Create excitement by promoting your partnership on social media and by encouraging your community to give food, toys, or to make a donation to the nonprofit. At the end of the season, match a percentage of the donations in the name of your brokerage. This is an amazing way to build your property’s image while supporting a great cause. A winter clothing drive is a simple and lifesaving way your brokerage can support your neighborhood this season. Collect gently-used coats, scarves, hats, and gloves. Then, deliver them to a local coat drive. Your brokerage’s holiday spirit doesn’t have to end in December. Continue your charitable efforts into January by holding a blood drive for your agents. January is national blood donor month and a great cause to support after your holiday celebrations. Since many families travel during the holidays, sign up agents during your December festivities and kick off the new year in a charitable way. Get your agents together to host your own holiday bake sale. A bake sale is an engaging way to get your team working together for a good cause. Break up into teams and divide the responsibilities of the sale so the work is evenly distributed. Then, decide on a charity and donate all of the proceeds of the sale. The brokerage can even match what the agents raise. Here are a few tips to running a profitable bake sale. The spirit of giving is contagious during the holiday season. Get your agents in the game by coming together as a brokerage, embracing your community, and giving back. Whichever charitable event you choose to support or donate to, your efforts will be appreciated. Make sure you document and celebrate your team’s hard work during the holiday season. Ride into the new year on the feeling of pride that volunteering brings. Has your brokerage tried any of these events in the past? Have additional suggestions you’d like to share? Let us know in the comments below! Ben is the former Content Intern for Updater’s Marketing team. The only thing he finds more exciting than discovering a new trend for content is starting his own.